Nader, as chief executive officer of National Medical, has guided the company into its position as the largest and most reputable revenue cycle management company in the ASC market. National Medical has won numerous national awards for best outsourcing companies and best places to work in healthcare. Nader leads the company’s strategic direction with a strong emphasis on exceptional client services, lean and efficient processes, cutting edge technologies, and insightful analytics. Prior to National Medical Billing Services, Nader was the co-founder and President of Ajuba International, a leading healthcare revenue cycle outsourcing company that was created in 2001 and grew to approximately 2,500 employees by 2009. A pioneer in the revenue cycle industry, Ajuba has received extensive honors as one of the premier business process outsourcing (BPO) companies in the healthcare provider market, including being ranked as the #1 Healthcare Revenue Cycle Outsourcing Company by The Black Book of Outsourcing (John Wiley & Sons). Prior to Ajuba, Nader was an investment banker at both Merrill Lynch in San Francisco and Dillon Read & Co. in New York (now UBS Securities) and served as a corporate finance attorney at the 400-member law firm of Dykema Gossett. Nader is currently on the Advisory Board of ResourcePro, which is one of the fastest growing BPO companies and the recognized leader in insurance process outsourcing services. He was also on the Board of Directors of MedPlans Partners, which was the leading provider of BPO services to the healthcare payor market until it was acquired by FirstSource Solutions. Nader is also actively involved in the Healthcare Billing Management Association, Healthcare Financial Management Association, The American Association of Healthcare Administrative Management and the International Association of Outsourcing Professionals. He was named by Crain’s Business Magazine to its “Forty Under Forty” list and was a finalist for the Ernst and Young Entrepreneur of the Year Award. Nader has a BBA/BA in Finance and Economics from The University of Notre Dame and a JD/MBA from the University of Wisconsin-Madison. Nader is an avid sports fan and enjoys playing, coaching, and watching a variety of sports. He played collegiate tennis at Notre Dame and continues to play as often as his work schedule allows. 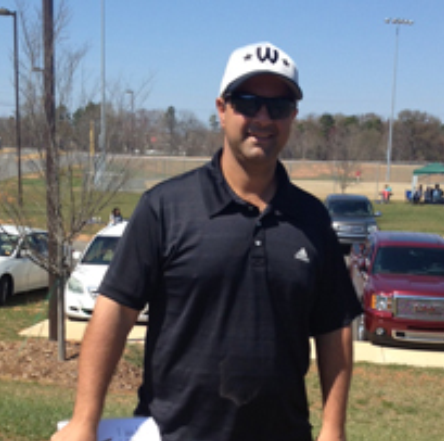 Nader has three children and coaches their youth baseball, tennis and football teams. A dedicated alumnus to his alma mater, Nader closely follows Notre Dame football and loves to cheer on the Fighting Irish. and are prepared to act decisively to achieve them. speak with them so that you can hear it first hand. “They are us and we are them. National's approach since being with us has been as a partner or better yet a family who cares about our success and does everything in its power to assist us in being successful." "National Medical’s coding audit identified that our previous billing partner was coding and billing our ASC claims improperly. We were actually losing money on some cases because costly implant charges were not being coded and billed correctly. National Medical was able to go back and capture significant lost revenue. Their specialized, ASC expert coders have maximized our revenue and compliance." "National Medical’s expertise in the ASC market revealed that our contracts were reimbursing less than Medicare and in some cases only 38% of Medicare. Due to their expertise and experience, they were able to renegotiate better contracts and increase our contract reimbursement by 305%. We’re now able to bring additional cases to our center." "Before we hired National Medical, we were handing billing in house and were averaging $811 for each surgery. In our very first year with National Medical, with the same number of cases, we have increased our cash per case to $1,400. That represents an increase of approximately $600 per case, or 73 percent, all of which is pure profit for us. In absolute terms, that means an additional $90,000 per month to us on the same number of cases." “We have not second guessed our decision to switch billing companies once since transitioning to National Medical. Their team seems to remind us constantly why it was such a good decision! "National Medical consistently exceeds our expectations by going above and beyond every day. Their team is proactive, highly attentive and smart. To top it off, their detailed analytics team provides us with powerful insights into our business, allowing us to make informed decisions. In short, they are the perfect partner for all of our revenue cycle needs." "We were handling our billing and coding in-house and thought that things were fine. Upon reviewing the results, we were stunned to find out how much revenue we lost due to the fact that we were improperly billing and coding expensive implant charges. National Medical increased our cash per case increased by over $400. We will never again bring the billing back in-house."